Does pressure washing damage decking? 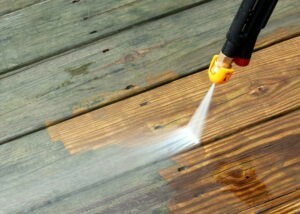 Is it safe to use pressure washing on decking? 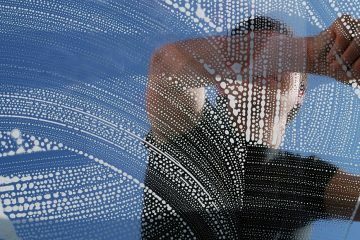 Pressure washing is an efficient and quick way to clean not only household decking but also decking of high rise buildings like skyscrapers. It causes less damage on outdoor surfaces and this makes it a perfect cleaning method for cleaning like masonry, brick, and concrete surfaces. Pressure washing is a good way to keep our deck or patio in a top shape. What pressure washing and power washing are good for? While pressure washing is good for home decking of a moderate size, large commercial spaces or big patios or driveways require power washing. Because power washing uses heated water this makes the cleaning happen fast as the heat quickens the disintegration of dirt. Exactly for this reason we should be extra careful where we use power washing. Power washing is best to be applied on concrete or other hard surfaces because hot water has a force that can do serious damage to softer surfaces. For cleaning deck surfaces the needed amount of pressure is no more than 1,500 dollars per square inch (PSI). This amount of pressure is sufficient enough to destroy the structure of a wood of soft kind and it has the ability to cause lap marks on most types of composite decking. We should remember that when it comes to pressure washing less is more. 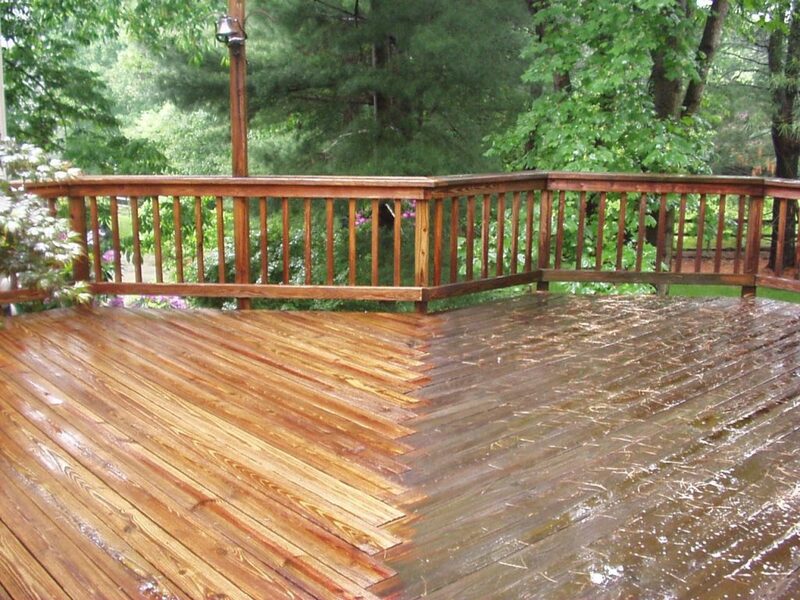 Power washing can be safely applied also decking that is made from South American hardwood such as Tigerwood, Ipe, Camaru. 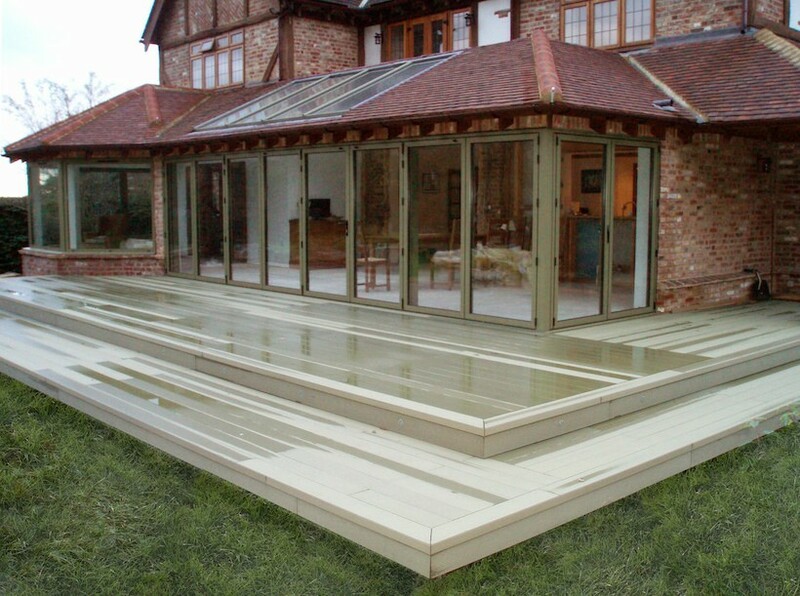 For decking that is made from pressure-treated wood we can also use power washing if we avoid holding the nozzle too close. Southern yellow pine is usually used for making pressure-treated wood. This kind of wood is really soft and that’s why we should use low-pressure nozzle when cleaning it so that the water blast won’ t etch or mark the wood in any way. It is recommended to check beforehand the owner’s manual to learn which nozzle and setting the manufacturer tells us to use for cleaning our decking and also how far away from the surface we should hold the nozzle. 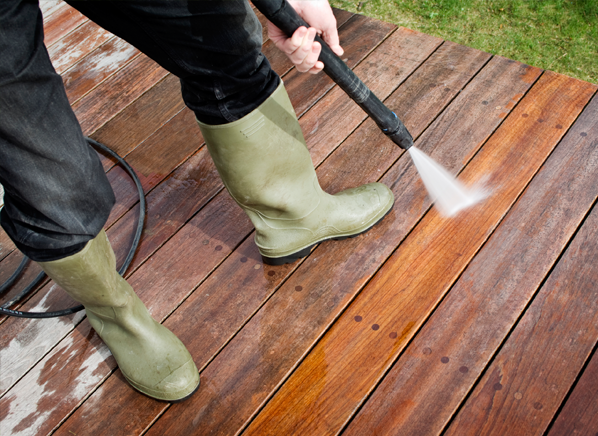 The best way to work with a power washer is to clean along the length of each board and follow the grain of the wood. Power washing can skipped for newer composite decks as they are resistant to deep staining and light scrubbing and rinsing with a hose will do the job. Sometimes corners are difficult to clean with power washing because there is no straight direction for the water to travel and the water spray can hit us. 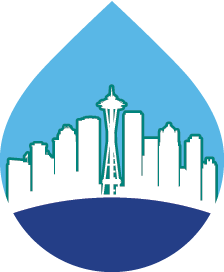 The chemicals and dirt debris in the water can hurt us. For this reason we should wear protective gear either while using pressure or power washing. We should always work out of a corner. There are many types of pressure washers. They come in different sizes and models. We can use detegrents, bleaches and chemical solutions when cleaning with them. Every cleaning solution reacts with certain type of wood. No matter which cleaning solution we will choose, we should not forget to read the manufacturer’s instructions and stick to them. Pressure washing cleans the chemicals and also the surface dirt. When cleaning with a pressure washer we need less water than when cleaning with a conventional hose and nozzle. It’s far easier to remove the residue of the cleaner of a pressure washer. For cleaning our decking we need a stiff bristle brush. It should be synthetic, not natural bristle because cleaning solutions deteriorate natural bristle brushes. When cleaning with pressure washing we should scrub the deck. If we lightly water it down this can help us to apply cleaning solutions. We should allow to let the solutions dry on the wood for a long time. 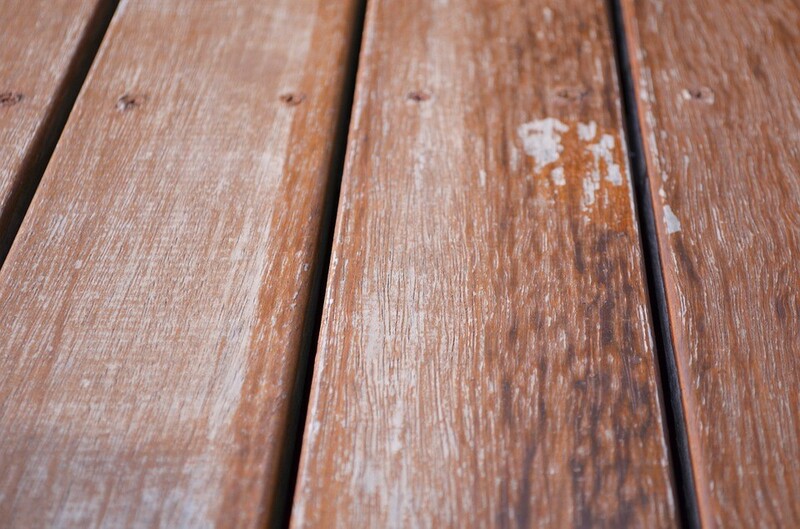 Cleaning solutions work differently depending on how dirty is our decking. Most cleaning compounds don’t need much time to break down the collected dirt. 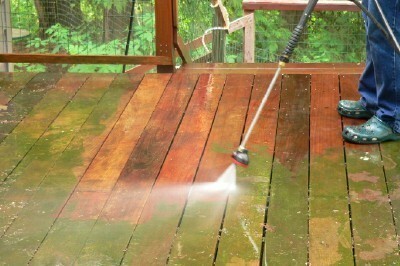 When we are ready scrubbing the deck we can rinse it off by using ordinary hose and nozzle. Sometimes the use of pressurized water to a wood surface can lead to raised wood fibers. Fortunately they can be removed easily afterwards. It’s advisable to use cleaning solution to scrub a dirty decking before using pressure washer to clean the dirt and soapy water. 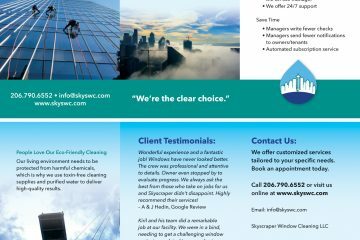 No matter what type of cleaning method we will choose, best results can be achieved by hiring a professional cleaning company to assist us. Because when we don’t have the necessary preparation and knowledge how to work with a pressure washer, we risk injuring ourselves or damaging the surface of our property we are trying to clean. 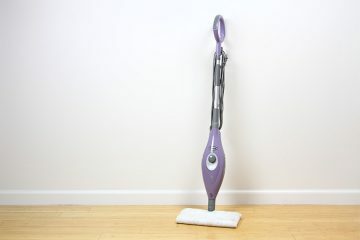 Therefore if we are not confident in our abilities to handle such a cleaning machine we should get help from a professional cleaning company.